As the Sacrament that completes our Baptism, Confirmation and the associated catechetical program encourages faith development and maturation through study, service and prayer. The two-year program challenges our youth to deepen their faith and embrace the mission of service to others in need. Adult mentors and volunteers offer meaningful support and catechesis to promote the religious development of our young adults. The program is designed as a two-year commitment which begins in the fall of ninth grade and is usually completed by the Spring of tenth grade. Individuals enrolled in a Catholic school may be exempt from attending the first year. The program will utilize a curriculum that will be centered on the students’ participation at Mass. It will be a requirement of the program that students attend Mass regularly. We will have various ways to monitor and track participation but in the end we will look to the student to assure us that they have fulfilled this requirement. To this end, beginning after Labor Day, the Sunday 5:00 PM Mass will be a more deliberately youth focused liturgy and will rotate from week to week between St. John’s and St. Paul’s as the center of the Confirmation Program for our Collaborative. The Mass, supplemented with classroom work driven by the Dynamic Catholic curriculum, will be at the center of preparation for Confirmation. Our hope is that this full, active participation in the liturgy, the source and summit toward which the activity of the Church is directed, will give our young people a lived connection to Christ Jesus and the community of the Church. We will be taking attendance at St. John and St. Paul with a card system and will stay in communication with students and parents to accommodate students who might attend Mass at different locations. We are also encouraging participation in our reinvigorated Youth Ministry program. This program will promote and coordinate social activities and service opportunities for our youth. Please see the Confirmation Details and Requirements below for specific requirement information. A printable version of the Confirmation Details and Requirements can be downloaded from the menu to the right, along with the Sunday 5pm Mass, Confirmation Class and Youth Ministry Calendar and other important documents. All Grade 9 & Grade 10 Confirmation students must go to Mass regularly and attend Religious Education classes. Excused absences from class must be documented and signed by a parent. All Grade 9 & Grade 10 Confirmation students should complete twenty-five hours of service over the two year period. Students should keep a log detailing the service(s) completed and the number of hours associated with each type of service. Upon completing the twenty-five hours and before being confirmed, all students must submit a Report on Community Service signed by the student and a parent. All Grade 10 Confirmation students should participate in at least one retreat. All Grade 10 Confirmation students must choose a sponsor. A form identifying the sponsor must be completed and returned to the Religious Education office. Sponsors must be Confirmed, practicing Catholics and not the parent. All Grade 10 Confirmation students must write a letter to Fr. Jim requesting the sacrament of Confirmation. Guidelines for the letter are available on the menu to the right. Letters are due in the spring. Robes will be ordered for all Confirmation students. Sizing information will be collected in the spring and robes will be distributed at Confirmation practice. 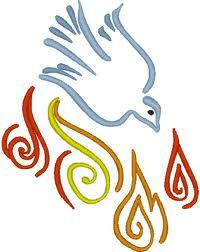 Confirmation practice will be held the evening before the Confirmation Service and is required of all Confirmandi. Sponsors do not need to attend this practice.